New York State regulators have approved the purchase, but also have imposed a list of conditions. The Spanish company said it hasn't yet decided whether to proceed. Iberdrola received approval from New York regulators on Wednesday to buy Energy East, a proposal that had faced stiff opposition. The New York Public Service Commission voted 4-0 for the acquisition, but imposed several conditions to address concerns raised by its staff. The commission's staff had recommended against the acquisitions, citing concerns about creating a too-powerful utility and protecting consumers' interest. 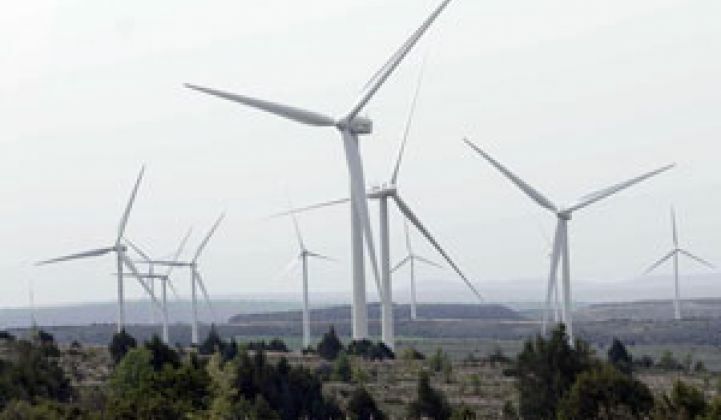 The staff also recommended forcing Iberdrola to sell its wind farms and hydropower plants because of a state policy that prohibits companies from owning power-generating plants and transmission lines. As conditions for the approval, the commission's staff directed Iberdrola, a wind-energy giant based in Spain, to set aside $275 million to offset future rate increases. The commission had sought $646 million as a condition of the sale. An Iberdrola spokesman told reporters that the company will study the conditions imposed on the deal before deciding whether to proceed. If it accepts the deal, Iberdrola will have to invest $200 million in renewable-energy projects in the state and sell off Energy East's fossil-fuel power plants. Iberdrola will not be allowed to invest in wind energy using funds from an Energy East subsidiary. Iberdrola first announced its intention to buy Energy East for $4.5 billion in June 2007. Energy East (NYSE: EAS), based in Portland, Maine, delivers electricity and natural gas to 3 million customers in upstate New York, Massachusetts, Maine and Connecticut. Under the agreement, Energy East shareholders will receive $28.50 per share for the sale. Energy East's shares rose 2.53 percent to close at $28.01 per share on Wednesday. In recent years, Iberdrola has aggressively expanded into the United States. In May, the company said it would invest $8 billion in renewable energy in the United States from 2008 to 2010, doubling its wind-energy capacity (see Funding Roundup: Spain's Iberdrola to $8B in U.S.). By the end of the first quarter of 2008, Iberdrola's U.S. wind farms totaled a capacity of 2.4 gigawatts. The company said it planned to increase the capacity to 3.6 gigawatts by the end of this year.